The functions of social work in international development are diverse. They include direct services in villages, refugee camps, orphanages, hospitals, and schools, as well as supporting the efforts of national governments, intergovernmental organizations, and nongovernment organizations to enhance social well-being. 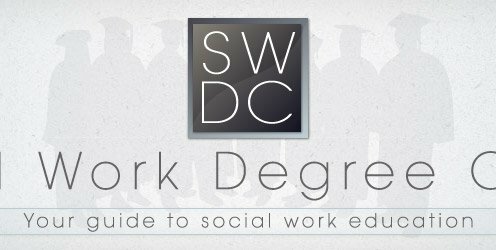 Social worker services may include development of social welfare policies, technical assistance, research, and information exchange. Social workers manage programs, train others, help to develop delivery systems, and in many ways help developing countries cope with emergencies and rebuild societies. International organizations such as the United Nations, and its individual entities such as UNICEF, employ social workers in both urban and rural projects. Governments provide assistance through agencies like the United States Agency for International Development (USAID) for bilateral and regional programs and projects. The World Health Organization (WHO) works on several fronts, among them immunization programs, HIV/AIDS prevention, and substance use treatment. The International Committee of the Red Cross performs vital disaster relief services, often with the aid of social workers. In addition, many private voluntary organizations such as CARE, World Learning International, and Save the Children provide opportunities for social workers. Strong technical skills, cultural competence, language proficiency, flexibility, the ability to adapt to changing environments, interest in others cultures, and a desire to travel are musts for those interested in international development. With the growing interdependence of nations, there is an expanding potential for employing social work skills internationally. Bernard A. Ostry, CC (June 10, 1927 – May 24, 2006) was a Canadian author, philanthropist, and civil servant, who is best known for being chair and CEO of TVOntario. K&K Internation College"World Social Work Day 17th March_2015"